When you buy your first Macbook, you can proudly admire its sleek look but over time, you’re likely to be bored and want something more refreshing and pleasing to look at. 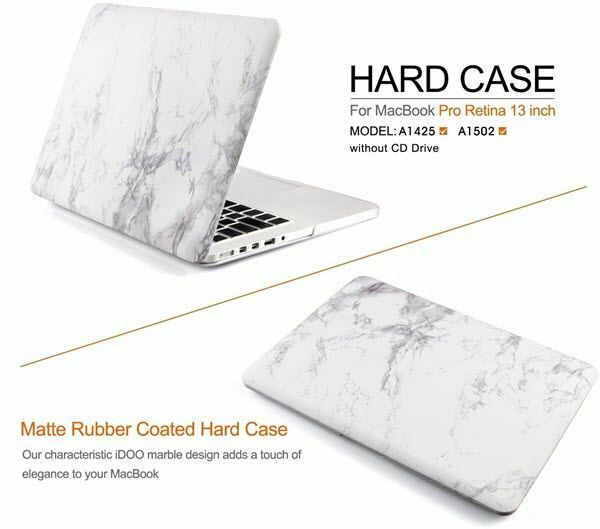 If you’re in that frame of mind right now, consider giving it a marble-like look to your Mac with the iDOO Marble Pattern case, which costs just under $30 (currently available at a discounted price of $16.95). This cover is a rubberized matte texture hard case print that is a great fit for 13-inch MacBook Air devices (models A1369 and A1466). However, the case is not compatible with the MacBook Pro with Retina Display so before making your purchase, check the model number at the bottom of your MacBook to determine compatibility with the case. iDOO Marble Pattern Case case doesn’t just give your Macbook an elegant look, it also protects your device from accidental hard knocks and scratches. And in case you still want to show off your Apple logo, it will be illuminated through the case when powered on, although you won’t see it when the laptop is shut. This case is a two-piece hard shell that is easy to clip on and off. It provides full access to all the buttons on the laptop avoiding the need to remove the case when you want to plug in your charger, cable or headset. The hard case dimensions are 13 x 9.1 x 0.6 inches and it weighs about 8.8 ounces. It is available in a range of colors including White marble, Black marble, Black/Gold marble, and Blue marble. It has a rating of 4.1 out of 5 stars based on various user reviews on Amazon. 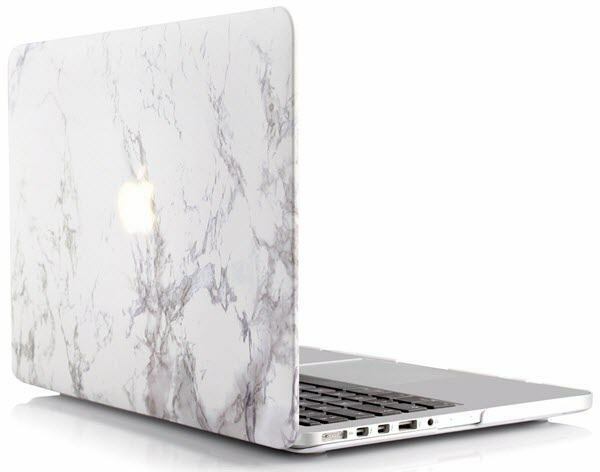 The iDOO Marble Pattern case is currently available at 43% less than its listed price of $29.99 at $16.95 so if you’re looking for an elegant case for your Macbook, check this one out.